This is an article from London's Daily Sketch of an interview with John Lennon by Anne Nightingale. It must have been conducted around this time of year 50 years ago. Enjoy. Anne: Are you deliberately using the power of the Beatles to spread the "word" about transcendental meditation? John: Yes, because we never felt like this about something else. We want the younger generation, especially, to know about it. It's for everyone. For "householders" as the Maharishi calls them. Just for ordinary people. You don't have to be some sort of freak to meditate. We've got to convince people we are not mystics, get through our million images to show people that what we can do, anyone can do. Anne: Are you convinced that meditation will least all your life, that it won't be just a phase? John: I've got some reservations, of course, but I'm convinced it works in the way they say it works. There's a lot more to learn yet. But I'm willing to find out. you don't have to have a great faith or anything. The whole thing is so simple -- as though it's too marvellous to be true. You think, "Why haven't I heard about it before?" But, in fact, it's been around for a long, long time. Anne: The Beatles must have the target for every cult imaginable. What made this so different for you? John: It was always the same package before -- Billy Graham stuff. Of course every one's trying to reach the same thing ultimately. But the Maharishi's way is natural, not unnatural. You can make it with meditation if you're a Christian, a Mohammedan, or a Jew. You just add meditation to whatever religion you've got. It runs alongside Christianity amazingly. Re-reading it now, you know what it's about. The kingdom of Heaven without you. It is without you. John: Obviously yo u put your own code to ethics into it. No one really wants to go around killing and having orgies. Anne: Would you have found meditation so acceptable if you hadn't taken LSD? John: It's all been misconstructed. We dropped LSD weeks before we met the Maharishi. We were looking for something more natural. But all that has been said about us building gold palaces in India is rubbish. Everyone thinks we are going to freak out into the hills forever! All meditation means to us is that we have more output in our work. More energy for things like recording and filming. It would have worked just the same if we hadn't taken LSD. Anne: Do you think that flower power is just a commercial craze? Or do you think there is some worth to it? 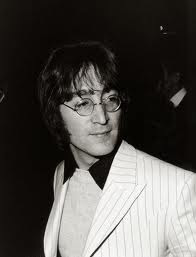 John: There will be a sort of core of things that will come out of it, which will be worthwhile. Just the love and peace thing is worth i, whatever commercial muck goes on. At least it's about something nicer than normal. good things come out of the beats, like Ginsburg and all those. Anne: What if everyone drops out? John: I don't think they go in for that over here. The slant doesn't seem to be "drop-out," but just do it better or just change it. Not drop out like they do in the States, but try to change what's going on, be different yourself in these surroundings. Anne: What do you feel about the religious aspects of the flower movement? John: I can understand religion now. I might have come to that conclusion anyway at 25 or 26. But now I understand it -- realizing that the Church of England and all those things, they're government. We all rejected that. I'm not against organized religion, if it's organized by religious people and not just by politicians disguised. But they've got themselves into the position of any big company -- they lose touch. I've realized religion is personal. It's "do as you would be done by" really. Anne: Does it involve a superior force, a god? John: It's an energy. I don't and never did imagine God as one thing. But now I can see God as a power source -- or as an energy. But you can't see any kind of energy -- only track it on radar or things like that. Anyway, I can imagine it as energy. You can be aware of your own energy and all the energy around you. All the energy is God. You own energy and their energy, whether doing god-like things or "ungodly things." It's all like one big jelly. We're all in the big jelly. Anne: When the Beatles publicly admitted taking LSD, was it done deliberately? John: We don't like lying. Maybe we've done a lot of semi-lying over the years and that's made it more important not to lie now. It was like when I got married -- I never sort of hid anything, to that extent. I did a bit, perhaps, but it wasn't till somebody came and asked me "Are you?" that I said, "Yes." It was just the same with LSD. Somebody saying, "Have you taken acid?" "Yes" because if you say "No" you're a liar. And it's not nice. To do personally what's right is not always publicly right but you've just got to do it. There's no messing -- because you're not nice to live with otherwise. Anne: But you put your name to the advertisement in "The Times" saying that pot should be legalized. You were advertising it. John: Pot isn't acid, that's the thing. Legalizing pot is just a thing which might as well be done as not be done. I wouldn't chain myself to Buckingham Palace railings for it. But I wouldn't sign anything to legalize acid. John: Because I think it is too freaky for people to take. Anne: Does he go to school yet? John: Yes; he goes to one of those "What did you do today?" "Nothing" schools. But where to send him next? It's a terrible decision. I don't believe in any of it...what they teach them at school. I can't think of an alternative, but I don't want to send him to an of those stupid schools where they'll teach him nothing about nothing...just about Francis Drake and Queen Elizabeth. They don't teach them about living. You can get a tutor, but that's a bit funny. He'd grow up like a kid who never went to school with the other kids. I've got a book with all the schools in England in it. But all they seem to talk about is tennis and how many bloody football pitches they've got. None of that boarding school stuff either. I wanted to go when I was a kid -- I fancied the midnight feasts in the dorm that I kept reading about. But I'm glad now that I didn't go to one. I wonder if there are any Buddhist schools here? That would teach him about life. Or maybe one of those computer type schools ... programming, I believe in that. It's only new now, but that's how it's going to be, because all the rubbish they try to teach you is just remembering names and dates or figures. If they've got to learn that, then programming does it better -- certainly better than teachers who are erratic. Chopping and changing their attitudes, teachers can't be unemotional. Anne: Does it worry you, the idea of living in a totally technological age? John: Maybe if everything was run by robots, individuals would have time to flourish. Everybody is so busy being machines themselves, they haven't got time to be people. John: If you think it's going to be like 1984, there's a good chance it will be. I just think optimistic thoughts. You may as well have that in your head. Believe the good is going to happen, and not the bad. From the days of honest interviewing and direct answers. First answer, "Yes..." straight off the bat. He (nearly) always gave great interviews, John.